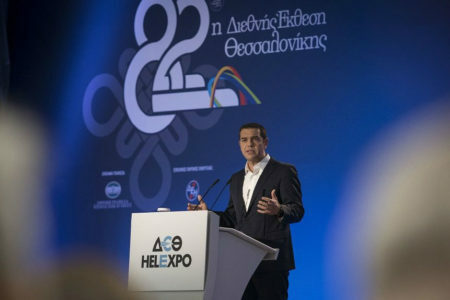 All sides must respect Greek people and their sacrifices of the past six years, Prime Minister Alexis Tsipras said on Wednesday, speaking at his office in Thessaloniki after a meeting with local mayors. “It is not irrational to hear the same arguments from the extreme circles of our creditors. But it is irrational to hear the same arguments from the [Greek] opposition. This is not opposition – it is concurrence with the IMF,” he said. Commenting on his meeting with local mayors, he said they discussed extending the program of school meals to 30,000 students and 151 primary schools in western Thessaloniki. It is an initiative to alleviate the dropout phenomenon and help families facing unemployment, he explained.